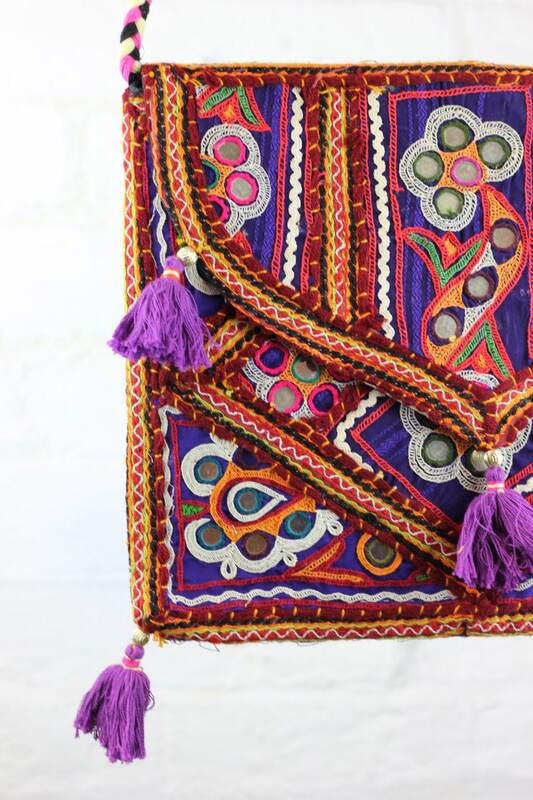 These stunning Indian Banjara satchels with beautiful ethnic mirror detail are all handcrafted using incredible recycled Indian sari fabrics. 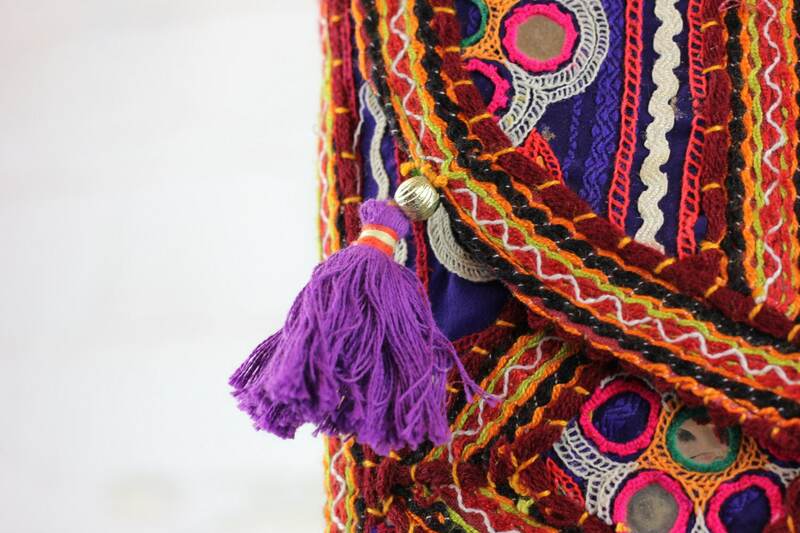 Created on our mystical adventures in india these are vibrant, stunning creations! No two are the same which make them as amazing and unique as you are! 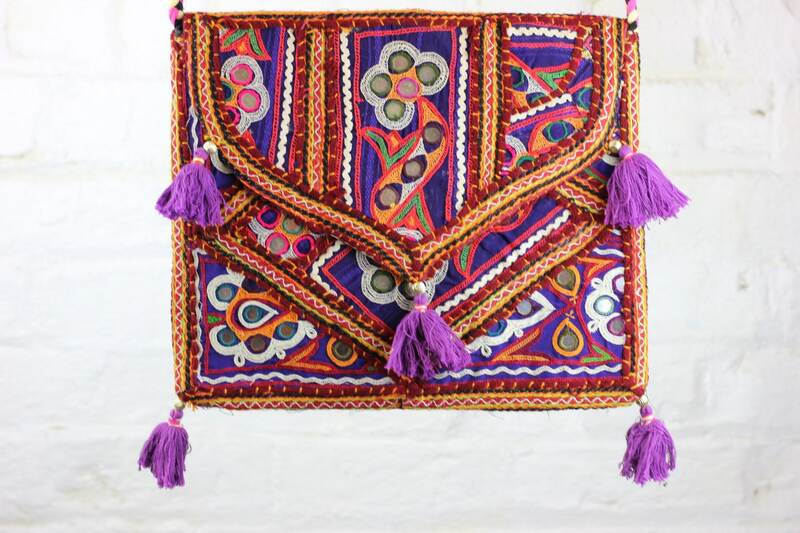 Perfect for all seasons and occasions this bag is spacious enough for a school bag and glam enough for all occasions. 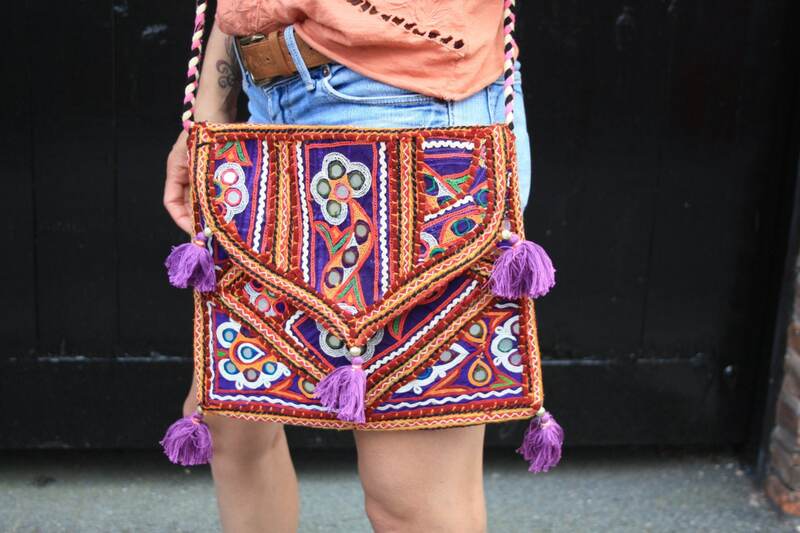 Dress up or dress down, stand out with these beautiful bohemian bags! 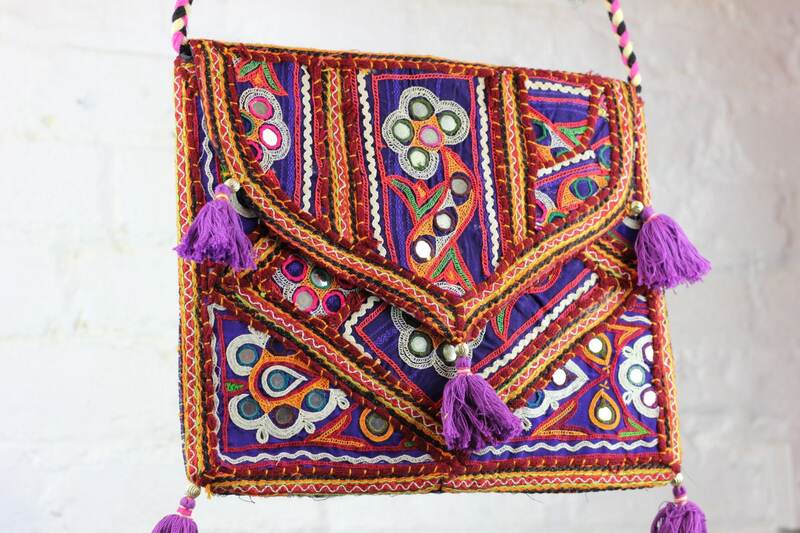 *Please be aware that our banjara bags are handmade using recycled or vintage materials and some may show slight wear or imperfections, don't see these as defects but part of their rustic charm!